No more tangled flags! 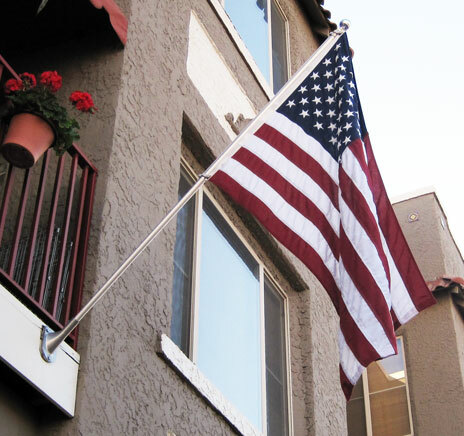 Our patented counter weight system will allow the flag to fly freely in the wind. The silver aluminum pole is 1" in diameter and 6 feet in length. Complete installation kit includes a gold ball ornament for top of pole and a heavy duty aluminum mounting bracket. Comes with a 2' x 3' USA Flag with embroidered stars.